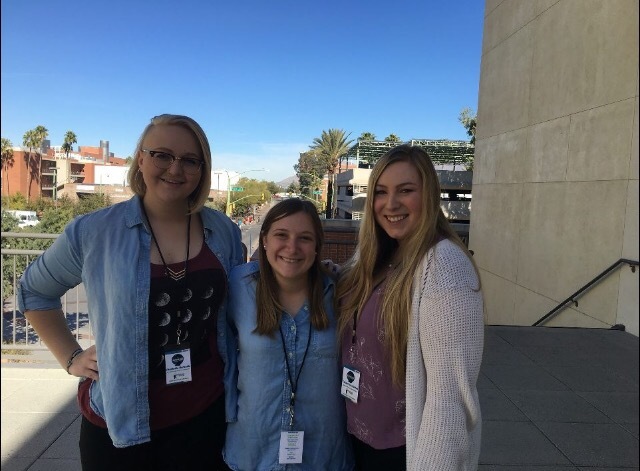 At the end of last month, three of our Exec board members, Charlotte, Ali, and Catherine, had the privilege of attending the Safe Ride Programs United (SRPU) Conference at the University of Arizona in Tuscon. They got to meet and collaborate with over a dozen other safe ride programs from colleges across the nation, and learned a lot about how to improve our organization. Their new knowledge and ideas will help us have our best semester of operations yet. We thank all of our volunteers and riders for making Designated Dawgs possible! Go Dawgs! For those that don’t know, we have utilized Enterprise’s cars for our operations for years. Our executive board enjoyed meeting yesterday with Jacobi Dolphin of Enterprise’s corporate office and Tyler of our Athens Enterprise location. Thank you so much to our Volunteers on Thursday, February 12th. We gave 70 rides! 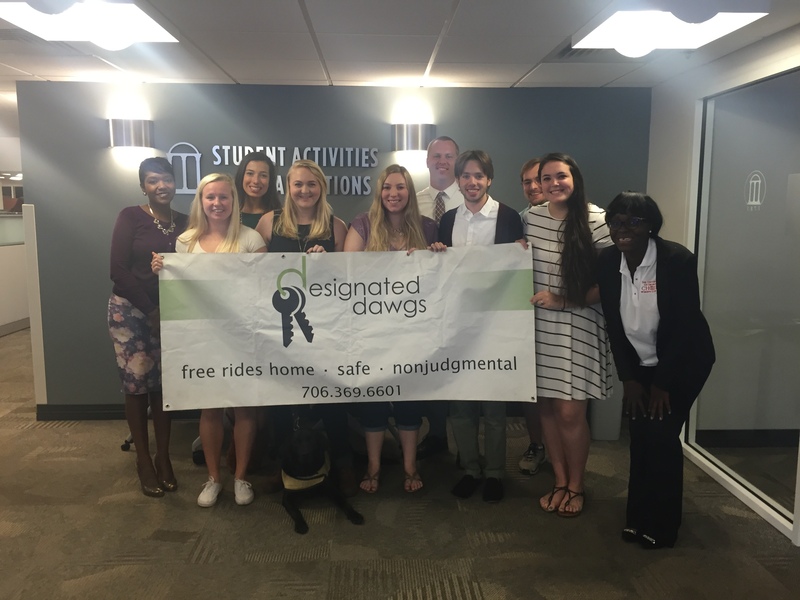 Designated Dawgs is an incorporated, 501c3, licensed non-profit organization and member school of Safe Ride Program United. To make the city of Athens a safer place by providing University of Georgia students and others in need with a safe, free, nonjudgmental rides home. We operate on Thursday and Friday evenings during the Fall semester and Friday and Saturday evenings during the Spring semester. We operate about 12 weeks a semester. Operations start each evening at 10 p.m. and run until 3 a.m. Designated Dawgs runs operations from our office space on the 4th floor of The Fred Building at 220 College Avenue in Downtown Athens, GA. We typically operate four – five SUVs or mini-vans what we rent from Enterprise. Designated Dawgs operates and receives all of our funding independently from the University of Georgia. We are an official, registered student organization with the UGA Center for Student Organizations. 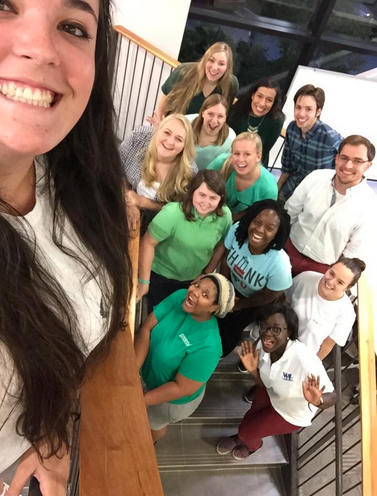 We are also a member organization of Volunteer UGA. We receive all of our funding through grants, donations and sponsorships from businesses and associations in the community. We operate with a budget of $25,000 – $30,000. We serve both students and any other individuals in the community that need our services. Executive Director: The Executive Director is the leader of the organization, and therefore sets the tone for the organization. He or she must do what is necessary to not only lead the organization, but ensure its success. He or she will be in charge of overseeing the entire organization, finance, communications and operations departments. Vice President of Operations: The Vice President of Operations oversees the entire operational aspect of Designated Dawgs. The Vice President of Operations coordinates all activities relating to volunteer operations including working with Enterprise Rental, facilitating volunteer training, planning/scheduling volunteer operations and working with other aspects relating to weekend operations. Director of Risk Management: It is the responsibility of the Director of Risk Management to ensure that Designated Dawgs is operating at the highest level of safety possible and minimizing any changes of liability. The Director of Risk Management should be able to answer any questions concerning operational procedures, liability and insurance. Director of Community Relationships and Sponsors: The Director of Sponsor Relations must work hard to ensure that we maintain healthy relationships with our current sponsors and that we continue to look for additional sponsorships in the future. The Director of Sponsors Relations must be an effective communicator and excellent listener. It is important that our relationships with sponsors are secure. Director of Member Relations: The Director of Member Relations must pay close attention to Designated Dawgs’ members: helping with training them conscientiously, fostering their growth, encouraging morale, holding them accountable for their actions and providing them with chances to get to know each other better. Vice President of Finance: The finance department controls and reviews all cash flows within the monetary activity of the Designated Dawgs. The department must keep up with overall budget, pay the bills, review other department budgets, and keep controls of Designated Dawgs’ spending. The Vice President of Finance will also fill the role of legal secretary, as needed. Director of Fundraising: The Director of Fundraising raises money by bringing together Designated Dawgs supporters for events and other fundraising efforts. Creativity is a key component in the duties of a Director of Fundraising. Accountant: The Accountant has the responsibility of making sure all financial information is properly recorded and accurate. Vice President of Communications: The Vice President of Communications’ duty is to craft and present the image and reputation of Designated Dawgs to the public. The Vice President of Communications will maintain all contact between the organization, the public, and the media by working with other members of the communications department. He or she must aid the Executive Board members in their efforts of communication, efficiency and planning. Director of Public Relations: The Director of Public Relations is in charge of distributing Designated Dawgs information quickly and efficiently. He or she will work with the Historian/Webmaster to maintain the presence of the organization on the internet, allowing possible sponsors and other constituencies to communicate with Designated Dawgs electronically, as well as improving abilities to communicate with Designated Dawgs’ members. Webmaster and Historian: The Webmaster and Historian will maintain online presence for Designated Dawgs in addition to helping archive and save the history of the organization. The Historian and Webmaster will assist other departments updating important information that needs to be included online. Director of Outreach: The Director of Outreach is responsible for serving as the representative of Designated Dawgs in all areas of Student Life as well as serving as the Volunteer UGA Liaison. The Director of Outreach should maintain strong relationships and rapport with other student organizations, campus departments, administration and other member schools of Safe Ride Program United. Health Promotions Coordinator: The Health Promotions coordinator is responsible for working with the Health Center and other resources to make sure Designated Dawgs has accurate information concerning alcohol health and safety. Congrats to Hannah Lani, Anna Carmichael, Annelise Wornat, William Gaston, Leigh Borkowski, and Travis Welch on becoming the new members of the Volunteer Leadership Council.